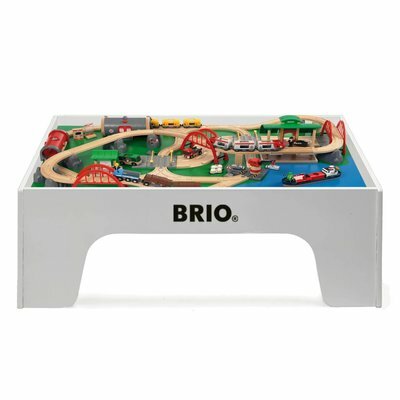 Brio wooden train table set deluxe. 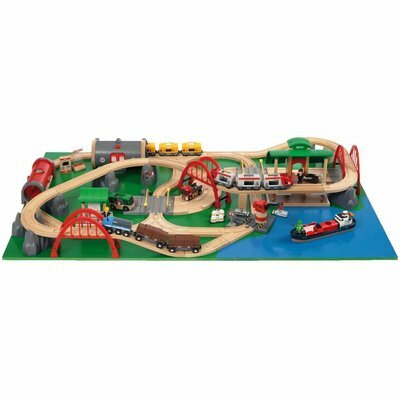 Complete wooden railway system train table with belonging wooden train set. 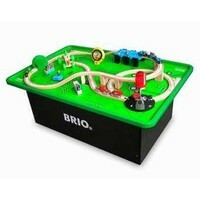 Delivered in UK and Ireland with the original Brio trains as well as an indestructible frame. 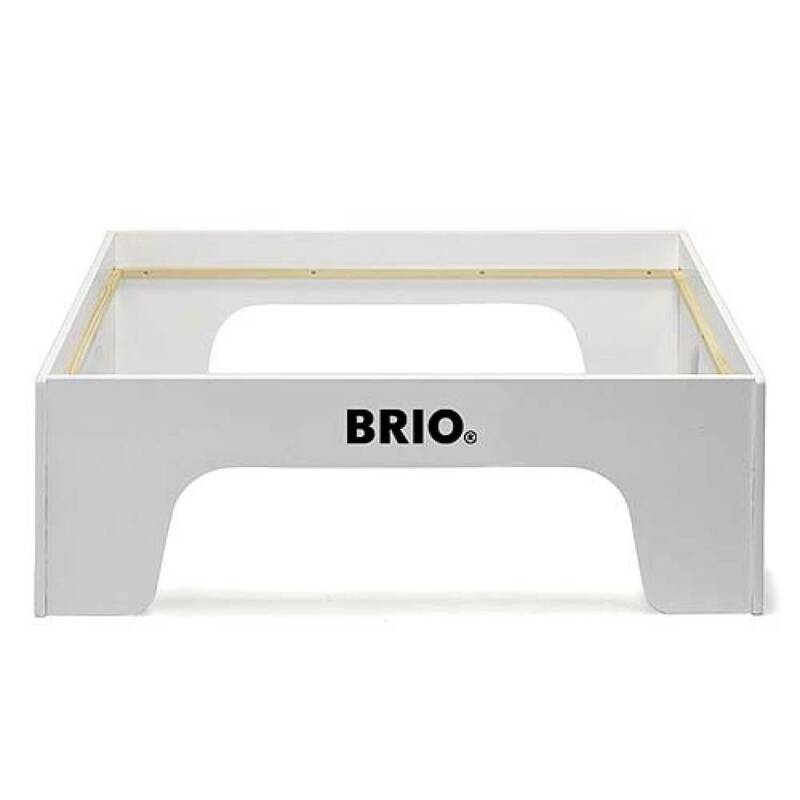 Known as the original train table maker, BRIO has been creating a high quality wooden train table. 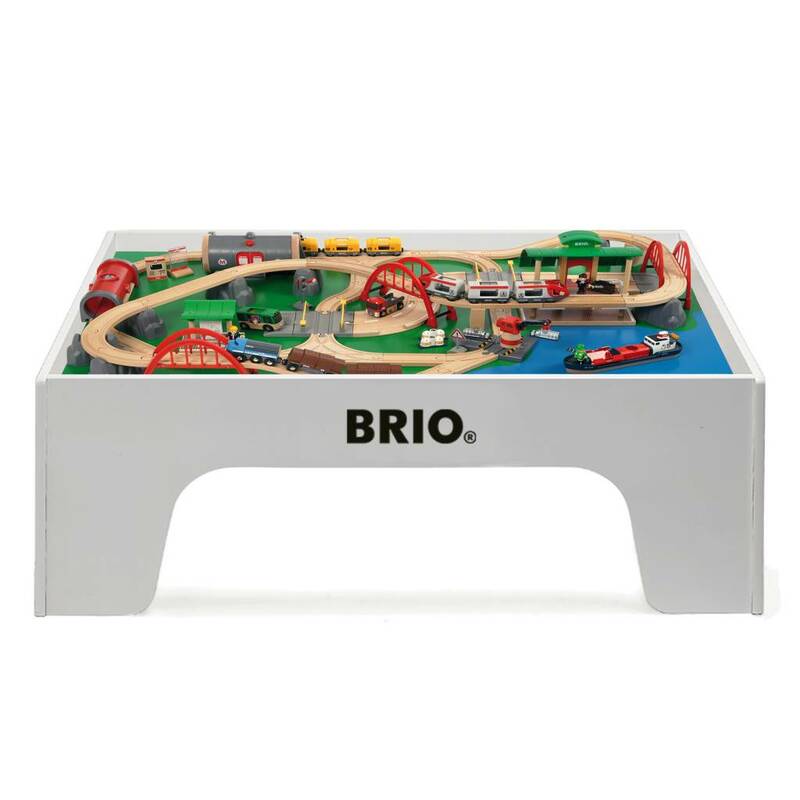 This highly comprehensive Brio wooden train table is delivered with a solid frame, a colourful plate, a railway system and many elements. 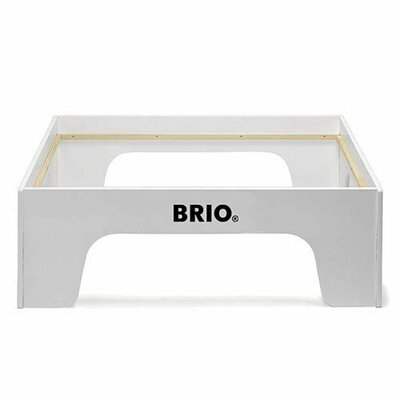 The train tables are characterized by their timeless design and high quality. 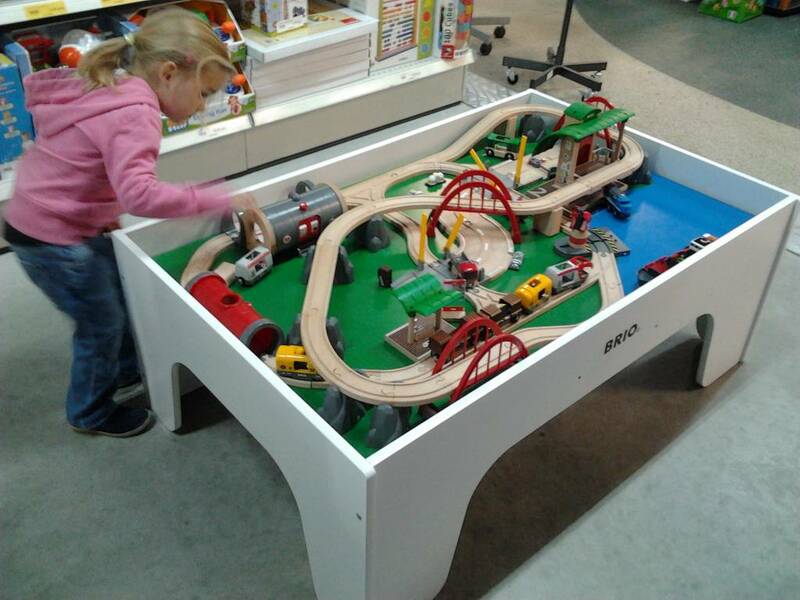 No less than 3 trains (including waggons) drive around the extensive rail circuit on the table. Also included are 3 rail fly-overs, a rail tunnel, a real station, a terminal, sign posts, a railway crossing, a harbour with a crane (which can effectively load into and unload containers from a cargo vessel! 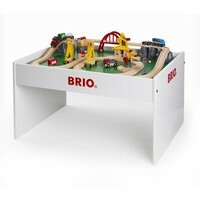 ), bus, lorry, etc..
Four to six kids can easily use simultaneously at this fantastic Brio wooden train table. 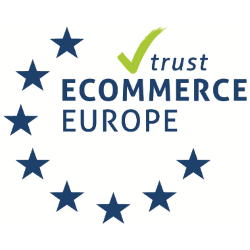 This extremely solid Scandinavian product represents top-notch quality and is highly recommendable. 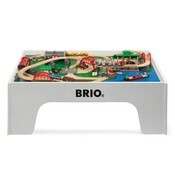 A Brio wooden train table can be placed in stores, public places, waiting rooms and at home. The whole idea is to invite children and their parents to share moments of fun.